55 years is a long period: Just like Saudi Arabia, Kuwait is also known as the land of expatriates where people from around the world come to earn a better livelihood for supporting their families back at home. Today I am going to let you know about a man who arrived in Kuwait some 55 years ago. 55 years is such a long period no one could ever try or even think to live away from his beloved country or home away from his family for this long period but one man did and no doubt to say that the country also provided him with the best he deserves. Muhammad Bashir: In return, the country facilitated him a lot, provided him with shelter and all the respect that he expected while leaving his home. He is Muhammad Bashir a Pakistani tailor who arrived in Kuwait in 1963. 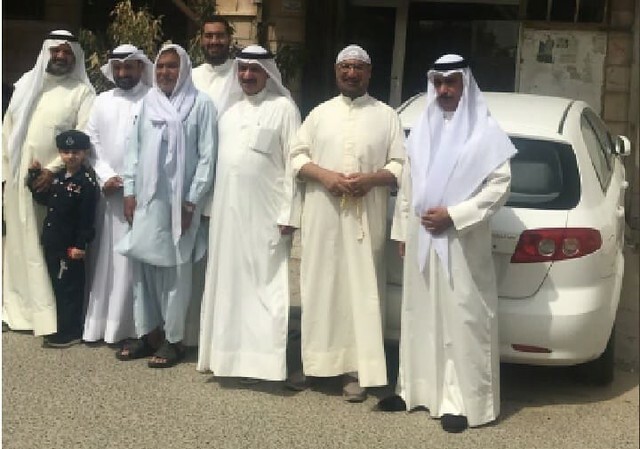 His story went viral when a group of Kuwaiti men who resides in Rumaithiya city honored him with a heartwarming gesture. They hosted a celebratory lunch for the expat tailor. The men told that they knew Muhammad Bashir since they were kids and they wanted to give him a farewell party before his departure. They honored and thanked the expat for always being there for them throughout these long years. 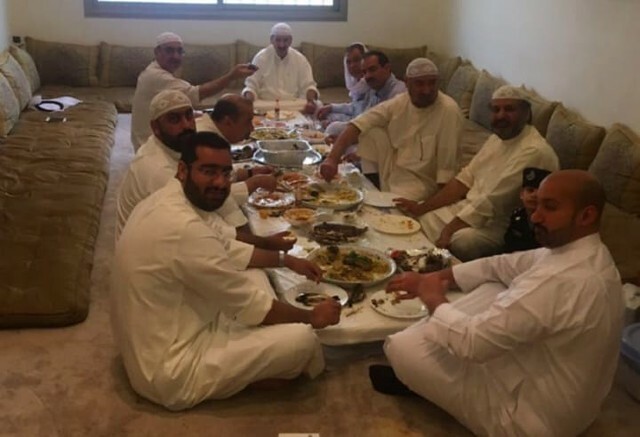 We need more people like them in Arab Countries: Images of this gathering and celebratory lunch were posted on Twitter and people they all won over people heart. There are only a few people in the world who care for others and respect other. Only a few possess the ability to thank a being for their help. People totally loved the picture and idea that was created by this Kuwaiti man and said there is a dire need to apply this in every Arab country where expat lives. This group of Kuwaiti people has really set an example. There should have to be someone to make them feel like a family. People were totally moved and said these are the people who truly represent Kuwait. A man should be recognized and respected due to his character rather the wealth he possesses.